Meigs Moolah may be given by any teacher to any student for awesome behavior and acts of unsolicited civility. Students will be given opportunities to use Meigs Moolah in raffles, drawings, special events or privileges throughout the year. At the end of each nine weeks, students with all effort grades of 3-4 and no office referrals will be invited to the Meigs mixer or a grade-level activity. At those events, Meigs Moolah may be able to be used for other special REWARDS like prize drawings. 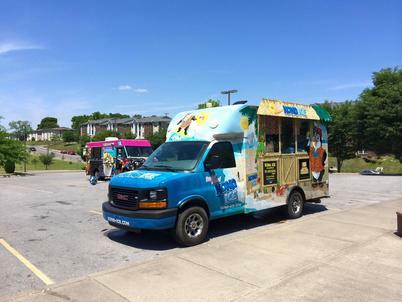 End of year Reward Day Carnival - KONA TRUCK!